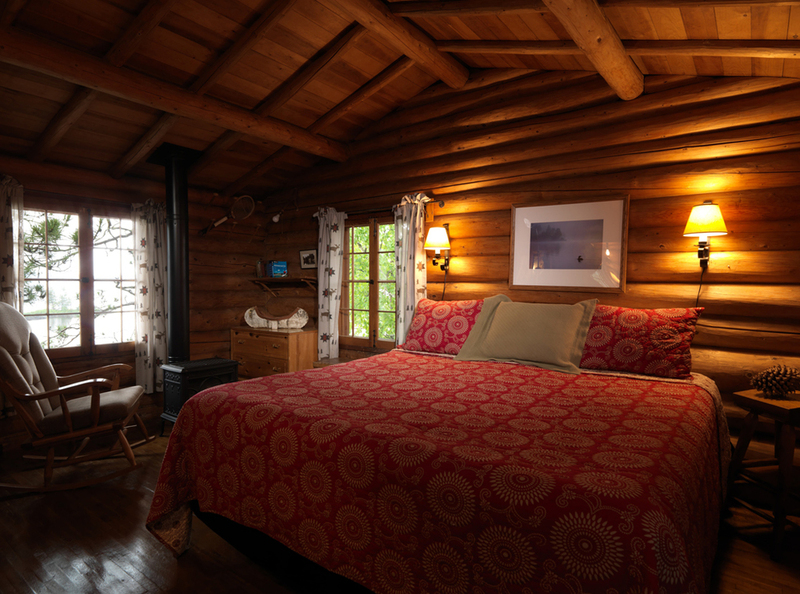 This is undoubtedly our most popular one-bedroom waterfront log cabin suite. Constructed by Finnish craftsmen in the 1920s by special request of an early guest, it offers privacy, charm and inspirational views of the lake. Built into the back of a bluff it is situated at shorelines edge. You enter directly into the great room which has a freestanding gas stove that provides the ambiance of a fireplace with the ease of a thermostat. The kitchen has a two-burner Gaggenau cooktop stove, microwave/convection oven and an under-counter refrigerator. 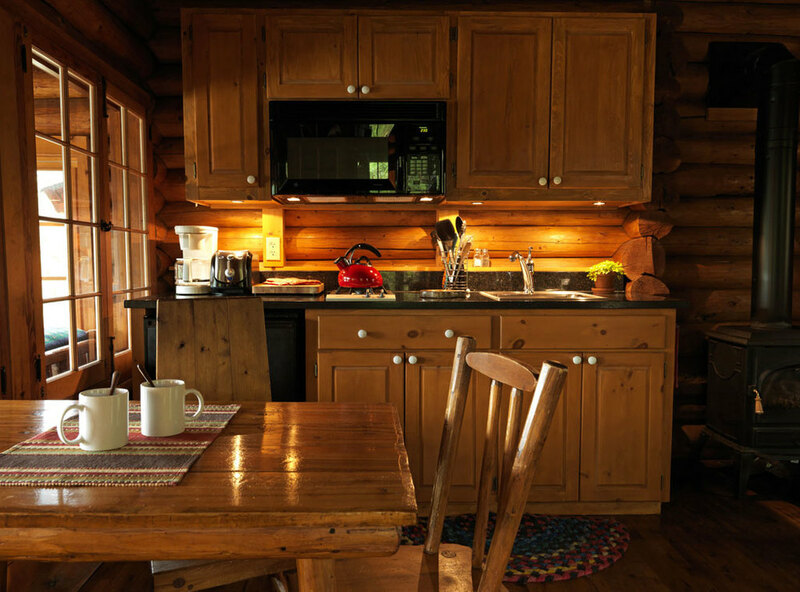 It is equipped with pots & pans, toaster, coffee maker, dishes, utensils & wine glasses. A half wall of paned windows and a Dutch door open to the glassed in porch that offers a sitting area and a single bed (perfect for naps). You'll definitely spend time here enjoying the sunrise and sunset views. The master bedroom is a step down from the main room and has another gas heater, a comfortable king-size bed and more lake views. The bathroom has tub and shower. The longer you are in this accommodation the more you discover and appreciate the attention to details these early craftsmen gave to Cabin # 27. A charcoal barbecue is located on a small deck near the entrance to the cabin. The 2019 rate is $ 2 486.00, when available by the day: $ 391.00.